Whether it’s for camping, spending the night at a family member’s house, or hosting guests at your own house, the Intex 18″ Premaire air bed will come in handy. It includes its own pump so it inflates easily. It comes with a carrying bag that makes it simple to take on the go. 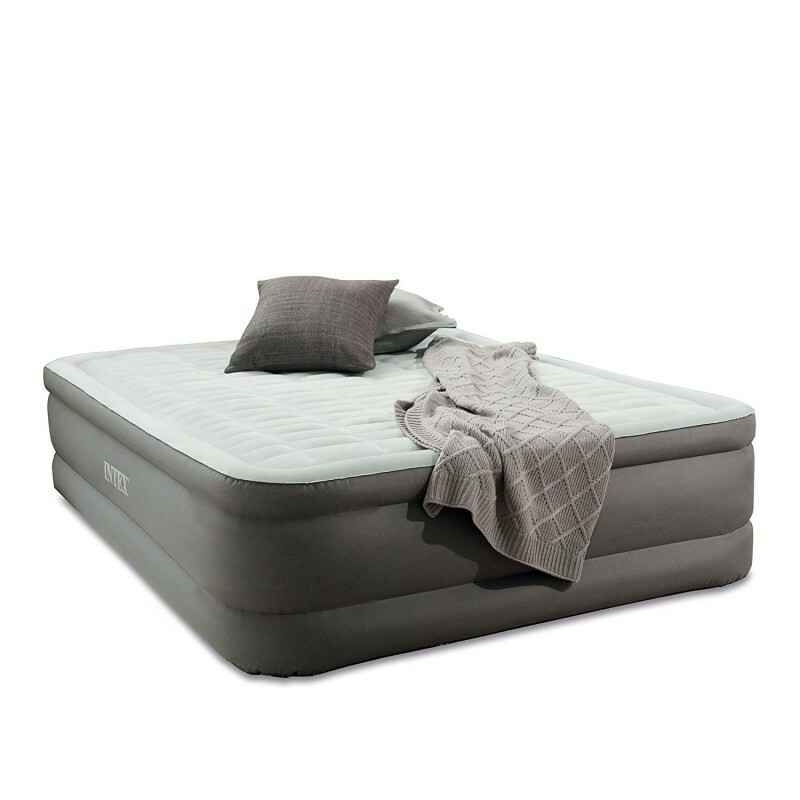 It’s a lightweight bed that is still tough, with puncture-resistant top. Learn more: Intex blog post. 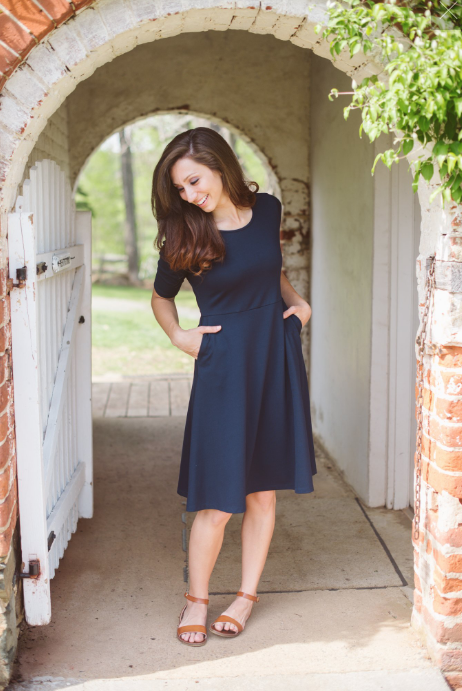 Both stylish and practical, the Virginia Dare Company Emma Dress is a must have for every woman. It’s a flattering knit dress, designed with pockets, is so versatile. You can dress it up or down for a day at the office, holiday, meeting, date, or just running around town. Made from a ponte knit fabric, t’s so comfortable that you’ll wish you had one for every day of the week. It currently comes in three color choices: navy, green, or black. Once you feel the quality and slip into this amazing dress, it will quickly become your favorite. The NEW Thirty-One Gifts Fringed Throw Blanket has a trendy chevron weave and fun fringe detailing. The material is both attractive and cuddly. 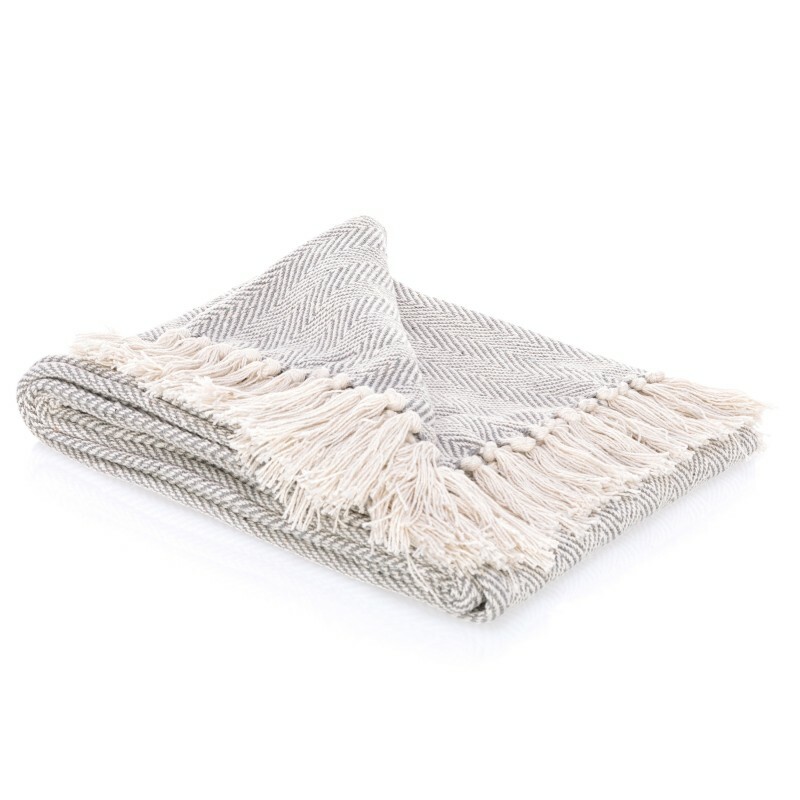 The Fringed Throw Blanket is available in two color options- red/white or gray/white. Like many items at Thirty-One Gifts, the Fringed Throw Blanket can be personalized with an initial and/or icon. 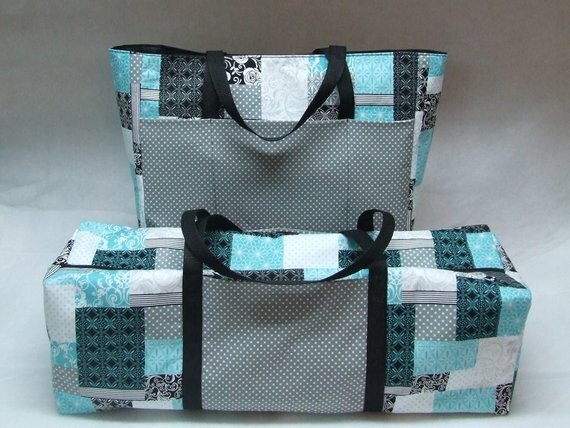 To learn more about Thirty-One Gifts, read my full review and enter to win the giveaway. InAPikle makes compact organizers with essential convenience items needed for life’s little emergencies. InAPikle organizers make a great gift because they are both fun and functional. They include all the things your gift recipient may need – disguised as a fashionable accessory. Perfect for women who are on the go, InAPikle organizers come in multiple colors and styles. Paks to go inside the Pikles are customizable. You can choose pak themes that include baby, first aid, MacGyver, Beauty, Scout, Glam, Office and more. InAPikle organizers are great to keep in the car, purse, diaper bag or desk drawer so they are always ready for life’s ‘InAPikle’ moments. If you have a crafter or scrapbooker on your shopping list this year, look no further than Homespun Expressions! These gorgeous, handcrafted carrying cases will be the perfect gift this holiday season. This Cricut Carrying Case and Accessory Bag can hold a variety of necessities including various Cricut machines, crafting tools, and more. Available in many different prints, these high-quality carrying cases with sturdy nylon handles are both functional and fun! These Circle Earrings from Sundrop Jewelry are a gorgeous addition to any jewelry collection. These are also available in a huge variety of colors and come in small, medium, or large. A single teardrop of sun-melted glass dangles from a delicate circle of silver. The curvature of these chic semi-circles continues right through your earlobe, completing the stylish arc. 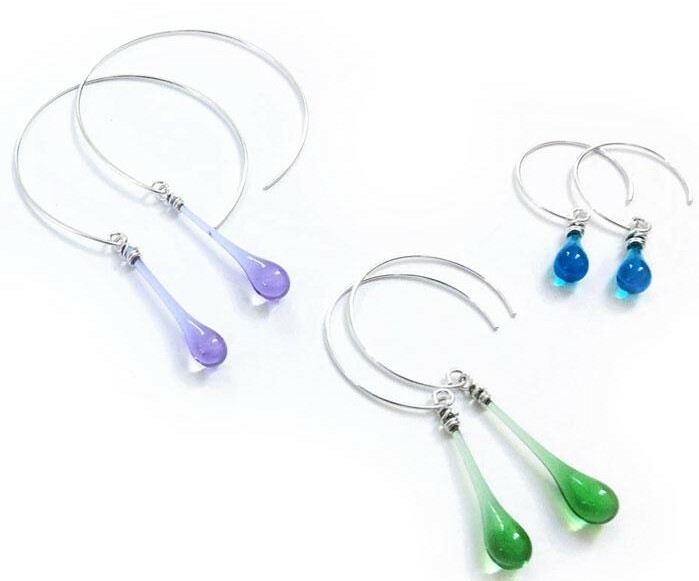 They’re made from recycled sterling silver that is tarnish-resistant and recycled glass bottles. Eco-friendly and beautiful, they’d make a great gift this Christmas! The Acrylic Colour Collection from Winsor & Newton is everything the adventurous artist needs to start experimenting with bold, brilliant acrylics. It includes 10 impressively vibrant acrylic colours, canvas textured acrylic paint paper and Galeria no. 6 Filbert (a flat head with an oval tip for creating broad marks with soft edges) and no. 4 round brushes (for fine detail and lines). Galeria acrylic paints have a high level of pigment and texture buttery enough for quick and easy coverage, but thick enough for brush marks to remain should you choose. 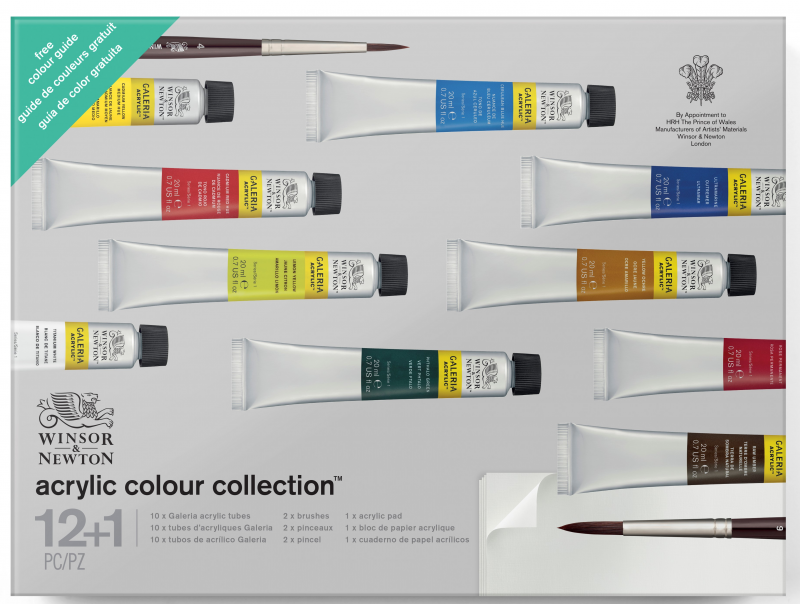 This versatile collection provides the perfect opportunity to explore acrylic painting. Staying stylish and warm won’t be a hard task for the woman on your gift list this year if you gift her a Dusty Down Jacket from Obermeyer. Down coats are some of the slimmest and warmest coats available! Features like the Interior stash pocket keep valuables safe and close by along with a wind guard and fleece chin protector to keep you extra warm on the windiest of days. As Santa and his reindeer fly into the night, the Thomas Kinkade Wonderland Express Christmas Tree chugs its way round and round the peaceful little village nestled among snow-kissed evergreen boughs. This amazing, exclusive gift from The Bradford Exchange makes a beautiful centerpiece for your holiday decorations. Showcasing four levels of rotating movement – including Santa and his sleigh – you’ll watch as the four trains travel around the Christmas villages. With 12 brilliantly illuminated buildings and over 2 dozen handcrafted figures, this piece is filled with intricacies. 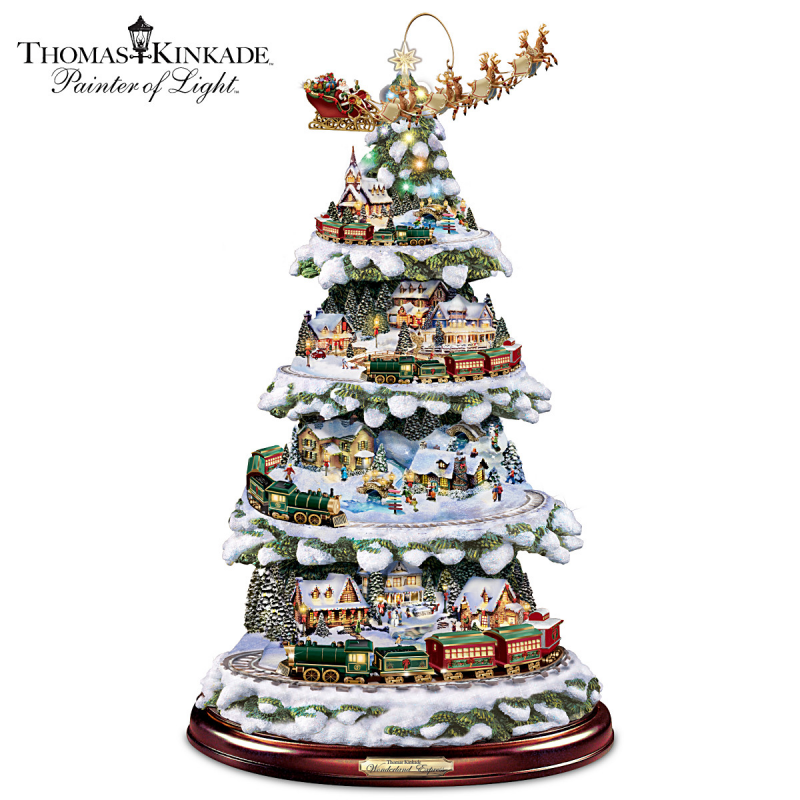 Inspired by the Painter of Light’s™ artwork, this handcrafted, fully sculptural Thomas Kinkade animated tabletop Christmas tree plays a medley of 8 beloved Christmas carols. 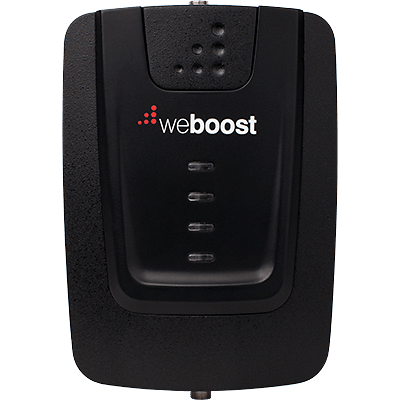 Help her say goodbye to inconsistent or weak phone signal with the weBoost Connect 4G. This cell phone signal booster is highly-reviewed across the web. It works to increase cell phone signal for all US phone carriers. In fact, it can increase cell phone signal up to 32x! I don’t know anyone who owns a phone who wouldn’t appreciate this gift! Style meets performance with the Radian Insulated Stainless Steel BlenderBottle. A personal favorite of many, this style is available in four color options. If you want top performance, this is it. 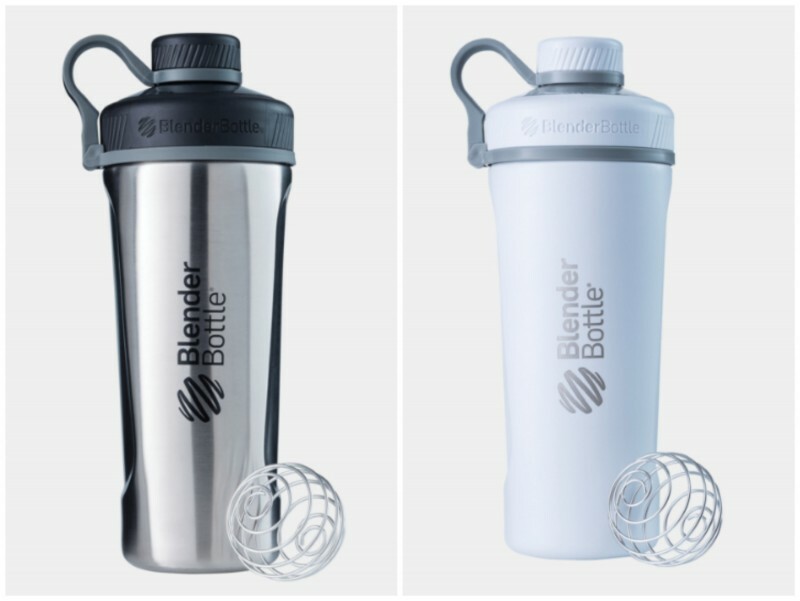 The BlenderBottle Radian Stainless Steel shaker features top quality rock-solid double wall insulation, along with a modern, center-mounted wide spout. And the clever carry loop makes for easy on the go travel. Plus, it features the most secure seal to date. With a 26 ounce capacity, it’s everything you ever needed! Beekman 1802 believes in hard work, living seasonally, and neighborly sharing around the globe. Their 60-acre farm is home to 130 dairy goats. 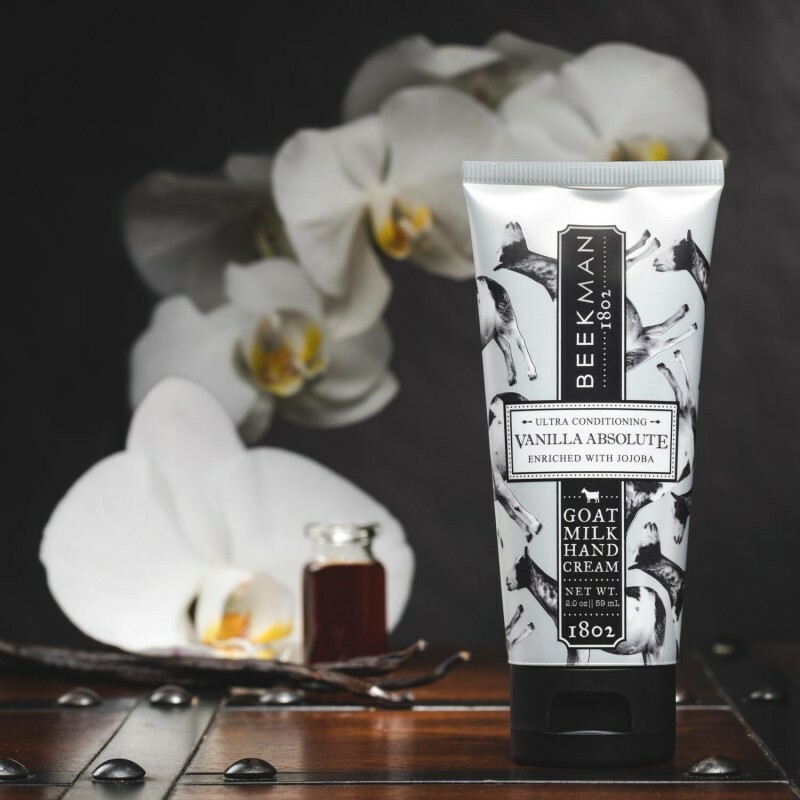 Beekman 1802 uses the goats’ milk to produce an assortment of food and beauty products. The Vanilla Absolute Goats’ Milk Hand Cream locks in moisture leaving your hands feeling soft and hydrated. Vanilla Absolute is scented with warm vanilla and undertones of sandalwood. To learn more about Beekman 1802 please read my full review and enter to win the giveaway. What new mom wouldn’t love the chance at some extra sleep from her baby and piece of mind? For pregnant ladies or moms with babies age newborn to eight months old, a DockATot Deluxe+ Dock offers a safe and comfy spot that lets baby rest, lounge, play, cuddle, do tummy time and get diaper changes. Deluxe+ docks are lightweight and portable. They are easy to take along and travel with. It is the ultimate docking station. DockATot Deluxe+ is ideal for co-sleeping with rounded, dense sides, it helps give baby their own cozy space when used properly in an adult bed. DockATot has been designed to offer a snug and soothing environment for babies. Many babies prefer a nurturing, cozy surrounding that mimics the mother’s womb. 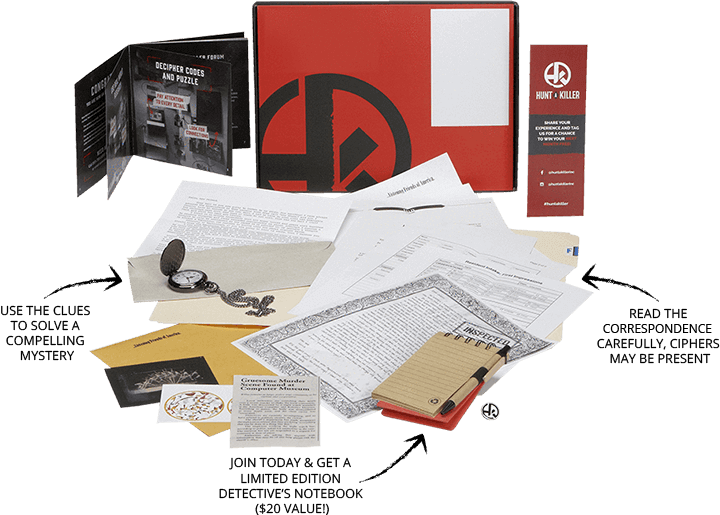 Hunt A Killer is a new take on the subscription box craze, and it’s sure to provide hours of entertainment! Each month a fictional serial killer sends you cryptic clues, objects, and letters that you use to solve a crime in real time. The clues are so interactive and convincing that they look and feels real. Hunt A Killer is perfect to play solo, as a date night, or for a game night with friends so you can exchange theories. You can even join the online Facebook community, working with other people who are at the same point in the story as you. This would make a great gift for anyone on your list who loves thrillers and crime stories, or doing their own detective work! Get 25% off your first order with the code HOLIDAY25. If you have a foodie woman in your life be sure that you head over to Raw Spice Bar to get her a spice subscription. The gift that keeps on giving amazing flavors. Customize with preselected seasonal varieties or custom make your own subscription spices. 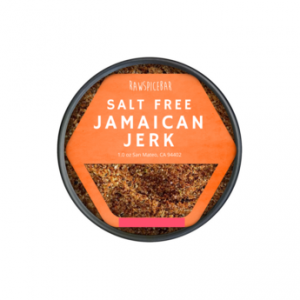 Salt free varieties are also available for those in need of dietary sodium restriction. Raw Spice Bar is your one stop place for all your spice needs! 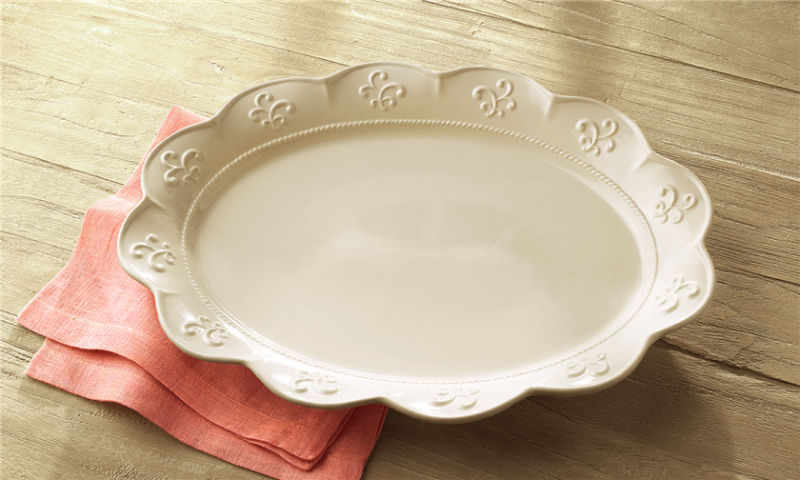 This Scalloped Serving Platter from Princess House is the perfect addition to any holiday meals this year! From the Marbella collection, this serving platter is the perfect size for big family dinners and special occasions. With an elegant ruffled edge and embossed details, it looks lovely with other dinnerware. This platter features an exclusive design and a glaze that’s resistant to utensil marks so you can expect it to last a long time. With a neutral cream colored body, it matches everything and looks beautiful at any gathering. You can save 25% on select dinnerware items to help you serve in style during the holidays through November 21st! Several months back I realized I was seeing cross stitch on various places online. Just enough to think “I’ve kinda seen a lot of cross stitch stuff recently”. Then after having that thought, I started noticing cross stitch everywhere! It is definitely a trendy hobby right now for women and I started trying it myself and quickly fell in love. RIOLIS is a brand that makes cross stitch kits from itty bitty and simple for beginners, to really advanced designs for seasoned pros. I’ve tried my hand at many smaller kits with success so I thought it was time to make something to leave on my wall. I love this Sunflower themed kit, I think it will look gorgeous in my kitchen once it’s done. 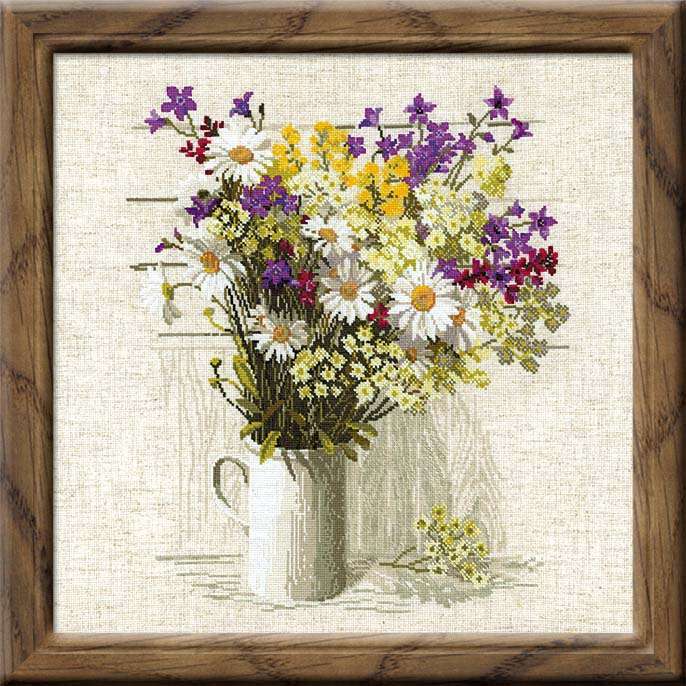 If you know any women who are interested in crafts, check out RIOLIS for a wide range of cross stitch kits at various price points and for various skill levels. Buy it: Visit RIOLIS to find where their products are sold. Community Coffee offers customers an assortment of gourmet coffee and teas. 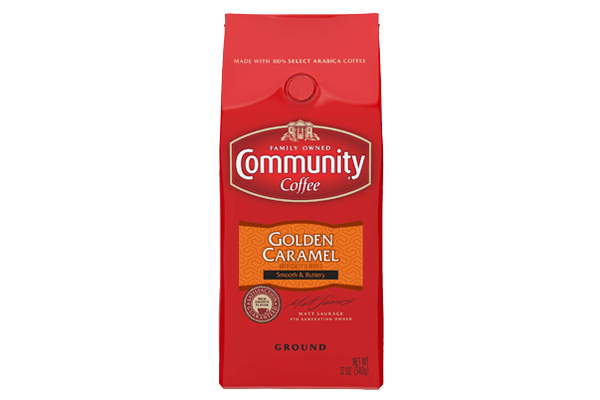 The Ground Golden Caramel Coffee blend from Community Coffee is made with 100% select Arabica coffee beans. It is a medium roasted coffee with a rich buttery caramel flavor. For a complete gift idea, give Community Coffee with a personalized coffee mug. Every time the recipient enjoys Community Coffee in their mug, they will think of you. Win it: Follow this link to enter the Community Coffee giveaway. Fracture specializes in printing photos on glass. Just upload your favorite photo and choose the size Fracture you would like – sizes range from small 5 x 5 inches or 4.8 x 6.4 inches up to extra large 21.6 x 28.8 inches. Fractures come in portrait, landscape or square. Fracture prints are frameless. They come ready to hang on the wall, but you can also choose to get them with a stand. A Fracture would be perfect for an office wall or to set on top of a desk. Personalize a watch for the woman in your life. 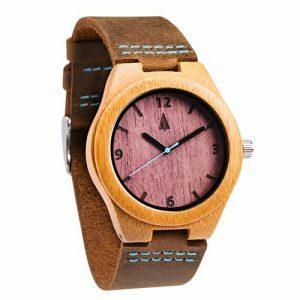 Giving a thoughtful message on the inner backing or a watch is sure to be a touching and cherished gift forever. With high quality Japanese quartz movement you’ll know the watch really will stand the test of time always operating as intended keeping time always. A wooden face provides a softness and an elegance stemming from true natural beauty. Winter can be a tough season for some, especially when it’s hard to get outdoors and experience the benefits of sunlight. Luckily Verilux can help, with their new HappyLight Touch! 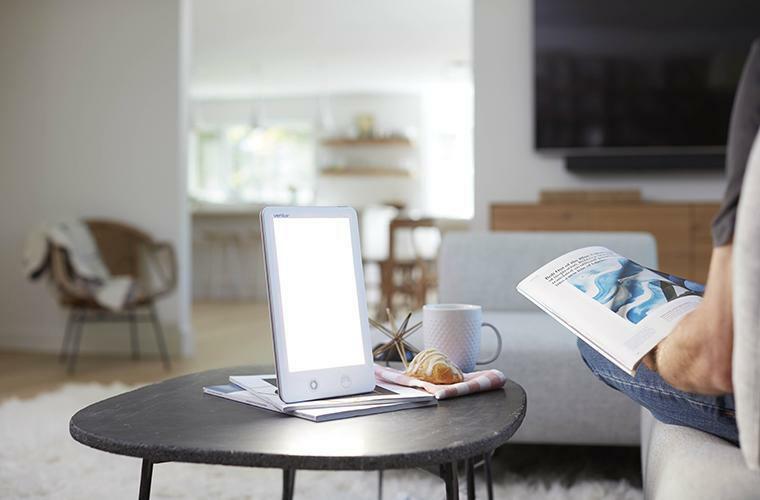 Recently redesigned, the HappyLight Touch is a full-spectrum, UV-free light with 10,000 lux intensity to be used for light therapy. With three brightness settings and the option between day light to warm light, you can choose the settings that fit your needs best. Avoid Seasonal Affective Disorder this winter with the brand new HappyLight Touch! 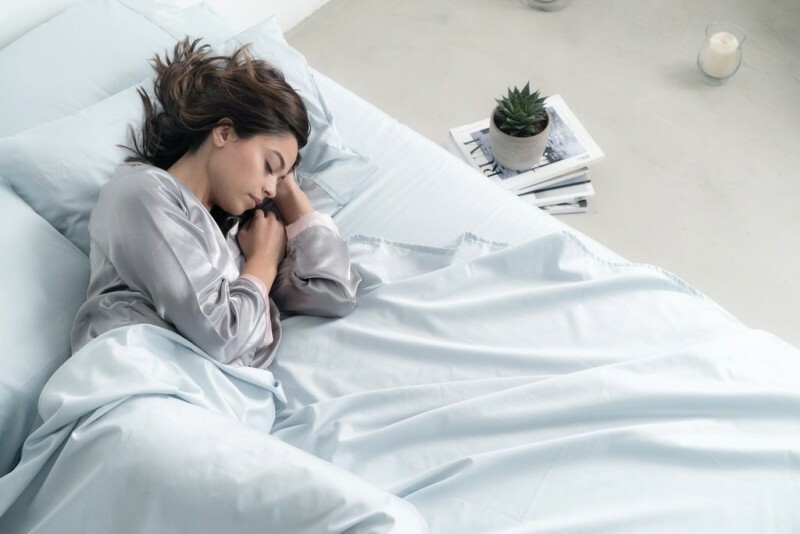 Miracle Brand makes sheets with all natural silver which naturally eliminates 99.9% of bacteria. Silver naturally eliminates bacteria through a process called Ionization. You don’t have to treat these sheets in any special way, just wash and use like usual but they will stay cleaner. They are also more resistant to stains! Silver has the added benefit of regulating temperature, so you’ll stay comfortable as you sleep. Buy it: Miracle Brands. Use code HOLIDAYMIRACLE to save 15% on your entire order! A modern spin on an American classic. The cast iron skillet reimagined, redesigned and revitalized by Stargazer Cast Iron. The 10.5″ skillet comes in seasoned or unseasoned. The entire interior of the Stargazer Cast Iron skillet is machined to a smooth finish which means that food sticks less. And results in a breeze to clean. Cast iron is the original non-stick material that you will absolutely love. High quality cookware that’s made here in the USA – choose Stargazer Cast Iron. Yankee Candle has a new line of scented candles called the Elevation Collection. Elevation Collection candles come with a decorative platform lid. When the candle is in use, you may place the candle jar on top of the secure platform lid and when not in use, place the platform lid back on top of the candle jar. The Holiday Pomegranate Elevation Collection candle is full of seasonal fragrances including cherry, apple, and pomegranate. The Elevation Collection fills your home with welcoming scents and beautiful decor. 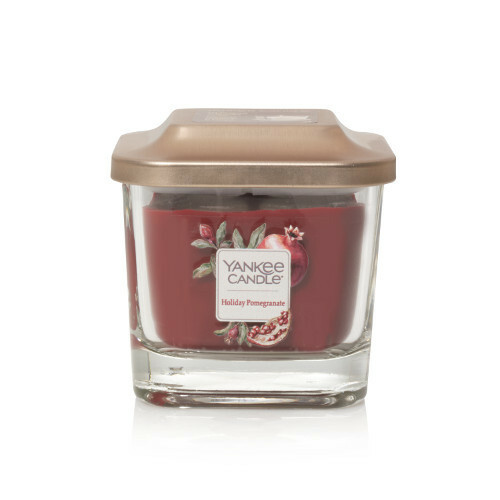 Buy it: Yankeecandle.com or Amazon. 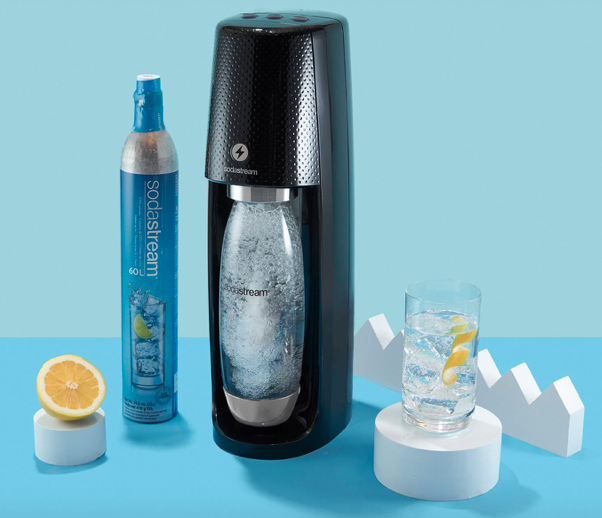 The SodaStream One Touch provides fresh sparkling water with just the touch of a button. This electric sparkling water maker takes tap water from flat to fizzy in just seconds. There are three levels of carbonation to choose from. Sparkling water is a healthy alternative to soda for those that like carbonated drinks. SodaStream users drink 43% more water on average. Flavors can be added to the sparkling water to ‘spice it up’ as well. Buy It: SodaStream or Amazon. 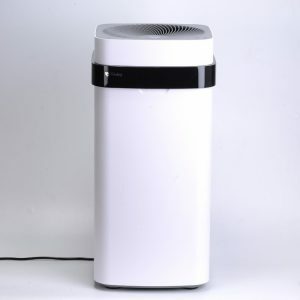 Breathe clean air into the woman you love this year with an AirDog portable Air Purifier. With complete silence the air in a 300sq ft space is cleaned through 5 filtration systems in just 20 minutes. A washable design with no filters to replace ever keeps the woman in your life from working overtime with appliance maintenance. This gorgeous Domed Cake Stand is from the Marbella collection from the premier company Princess House. It’s a beautiful display stand to keep cakes, pastries and bread fresh. 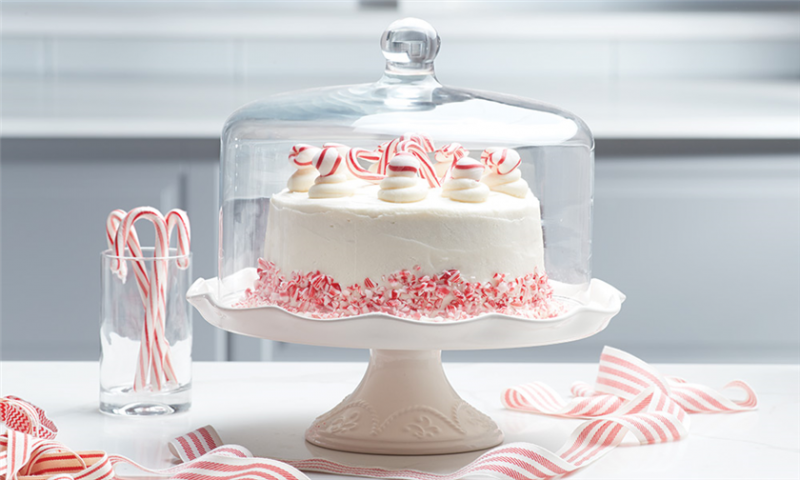 The ruffled cake stand comes with a glass dome and is tall for displaying layered cakes. It’s embossed with the gorgeous Marbella details which makes it classic yet elegant. With a neutral cream color, this cake stand matches everything! It would make a gorgeous gift this year. You can save 25% on select dinnerware items to help you serve in style during the holidays through November 21st! 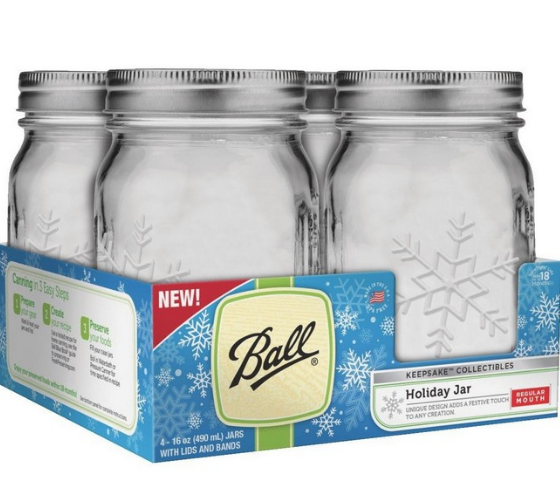 For the women in your life that love to can or just store things in beautiful jars, the brand new Ball Canning Snowflake Keepsake Jars are a great choice. Featuring a beautiful embossed design, consider making cookies in a jar and placing a sparkly bow on top as you gift these gorgeous jars. They offer a simple way to add a creative and festive touch to any creation or gift, home-canned foods, storage, crafts, decor, and more. Featuring the SureTight lids help them keep foods sealed and fresh for up to 18 months. Farberware’s Classic Ice Cream Scoop might seem like an odd gift but, when you add it to a box with ice cream sundae dishes and an assortment of sundae toppings it becomes an adorable and thoughtful gift. 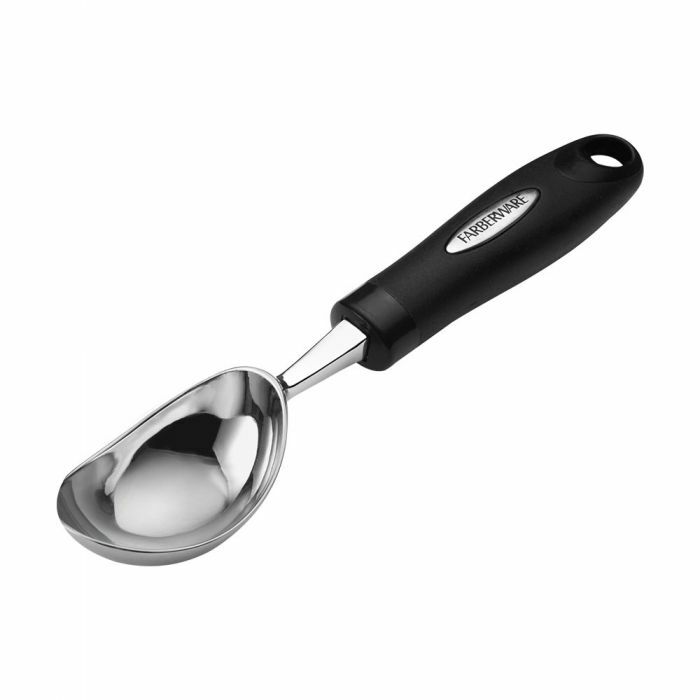 The Classic Ice Cream Scoop has a strong durable stainless steel head to scoop your favorite frozen treats. The user-friendly handle provides a comfortable grip while in use. The Classic Ice Cream Scoop is dishwasher safe. YogaClub is a subscription box that delivers a retail value of $100 to $160+ worth of high quality, name brand activewear to your home. For less than the price of one pair of yoga pants, you can get an entire outfit from the best brands. YogaClub expert stylists put together outfits based on size and style preferences. YogaClub features a Love Guarantee and features easy exchanges. YogaClub also provides a yoga & meditation class to a child in need for every box delivered, so you can feel extra good about your purchase. 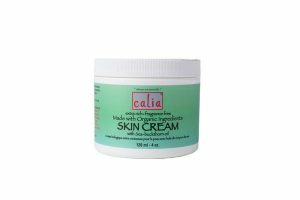 With your skin absorbing everything you place on it be sure that the women in your life arent absorbing toxic ingredients from their skin care products by gifting Calia all natural beauty supplies. Skin care cream with seabuckthron oil is perfect for every inch of skin from your toes to your nose. If you prefer a fragrance you can pick up some essential oils from Calia and add them into any of the all natural products for a safe heavenly scent. 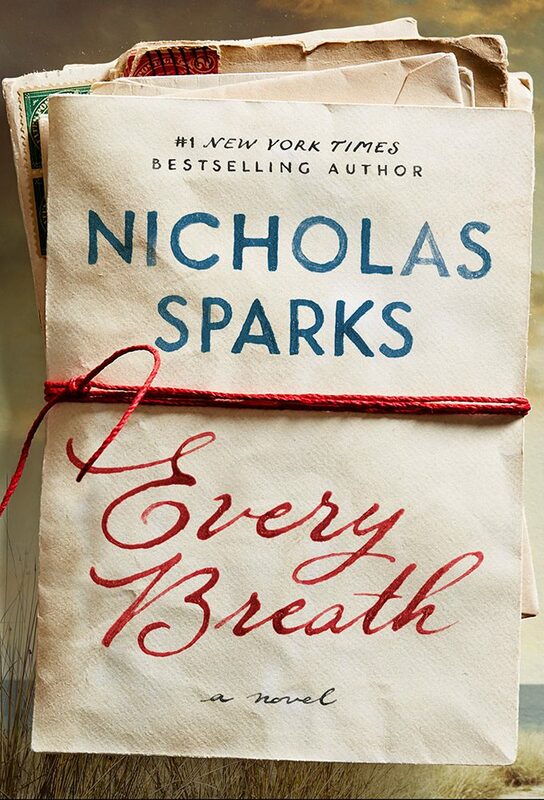 The newest book from #1 New York Times bestselling author Nicholas Sparks, Every Breath follows the story of a chance encounter that becomes a touchstone for two vastly different individuals. It transcends decades, continents, and the bittersweet workings of fate. Every Breath is a tale both heartbreaking and heartwarming as two people discover that finding loves means having the courage to find yourself. 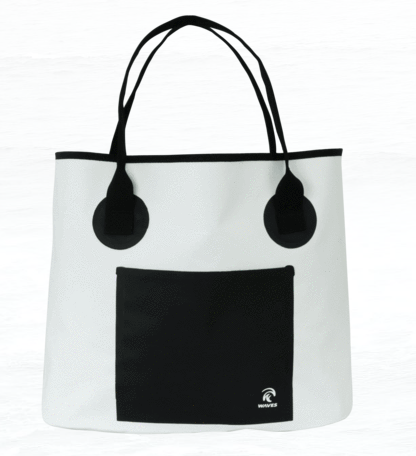 This Infinite Dry Tote Bag from Waves Gear is available in two different color options, blue or white. A super functional bag that is constructed with the same 500D PVC material that made their favorite Roll-Top Dry Bags a best seller. Designed to be the best bag possible, it features an extra-thick waterproof material. This not only keeps your gear dry. Is is also easily to clean and won’t retain any sand or musty wet towel smells. Both functional and chic, the Infinite Dry Tote is versatile while being the perfect accessory for any outfit and every type of weather. TexereSilk is the place to go for attractive and comfortable pajamas. The Replenish women’s pajamas are made with a Bamboo Viscose and Cotton blend. The top has slim-fitted long sleeves with pleating on the chest and a round neckline. The bottoms are full length. They have an elasticized waist with drawstring closure. Replenish pajamas are available in several color options. To learn more about TexereSilk, read my full review. For someone who could use a massage – at home – give the gift of a HoMedics Quad Action Shiatsu Kneading Neck & Shoulder Massager With Heat. This massager delivers a deep kneading shiatsu and vibration massage to loosen tight muscles. The integrated control puts the individual in charge of their own massage experience. They can choose between a deep kneading shiatsu massage, soothing vibration massage or a combination of both. 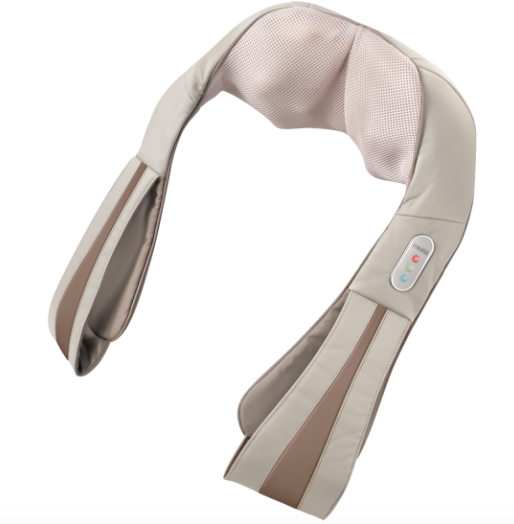 The three speed settings allow them to select the intensity of the massage experience and they can choose to add heat and experience a deeper, more relaxing neck and shoulder massage. This massager would make a wonderful gift for anyone, but especially those that live alone, as it does not require another person to assist. Bissell is the perfect gift for any women you know who loves pets. 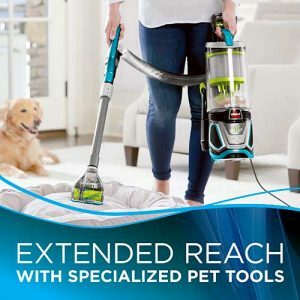 Bissell’s Pet Hair Eraser Vacuum is a sure way to remove all pet hair and its Cyclonic Pet Hair Spooling System™ ensures that you wont have to be touching all the yucky contents of your vacuum once the job is done. Tangle free roller brushes keep you from needing to wrestle and untangle long hairs from the vacuum. Bissell is a great vacuum to keep pet hair off out of your home and off your hands. 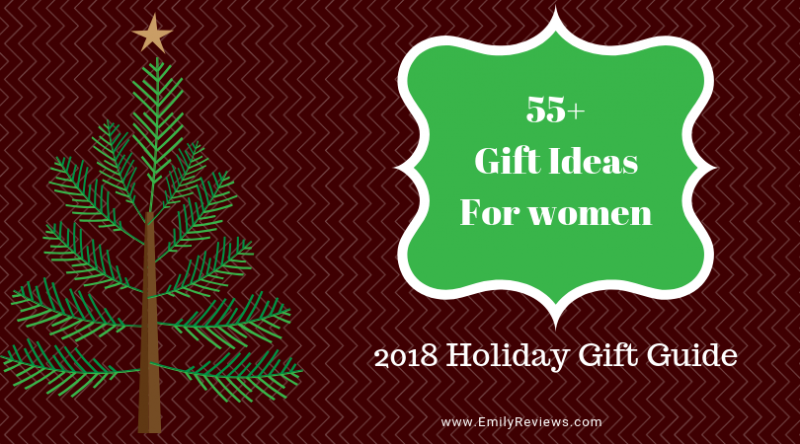 Gift a clean home to the women you care about! Buy It: Bissell.com or Amazon. If you’re looking to give the softest, comfiest tee ever with a loving message, look no further than Saylor Design Co. 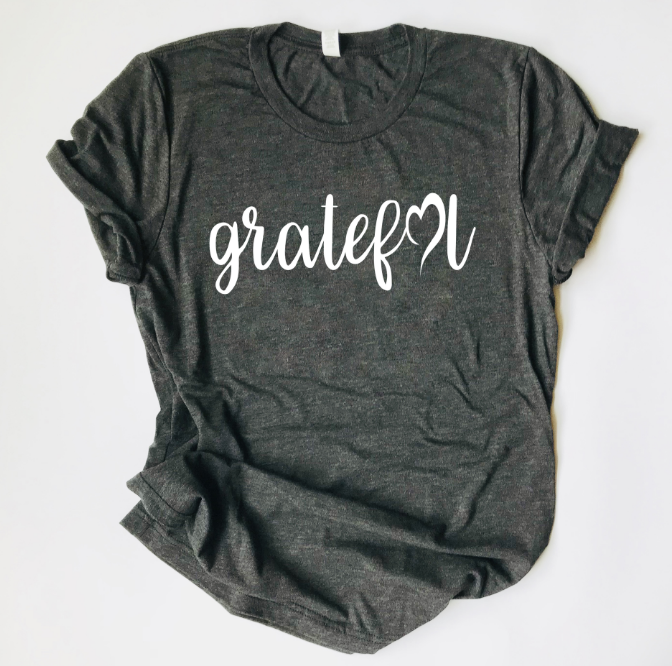 Grateful Heart Tee. Made from a high quality triblend, from the very first time you slip this classy tee on, you’ll feel like it’s been your favorite for years. Color choices are charcoal with black flecked and white words or white flecked with black words. Made to order and true to size, this is sure to become your favorite shirt for every day of the week! The Invisible Chef creates wholesome baking mixes. 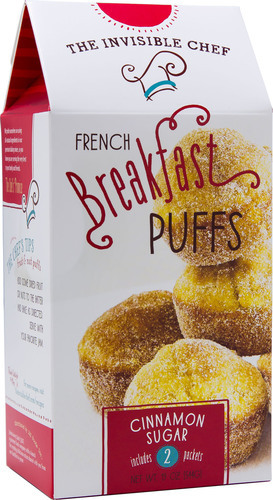 The French Breakfast Puffs Cinnamon Sugar Donut Muffin Mix is fun to give as a gift. You may choose to give her a beautiful basket full of warm fresh baked muffins or give her the box to bake at her convenience. Whatever you choose, she will be delighted with her goodies. For a complete gift idea, give The Invisible Chef baking mixes in a festive basket with coffee and coffee mugs. To learn more about The Invisible Chef, read my full review and enter to win the giveaway. If you are buying for a mom with a little one that is between 8-35 pounds, a ring sling from Comfy Joey would be a wonderful choice. 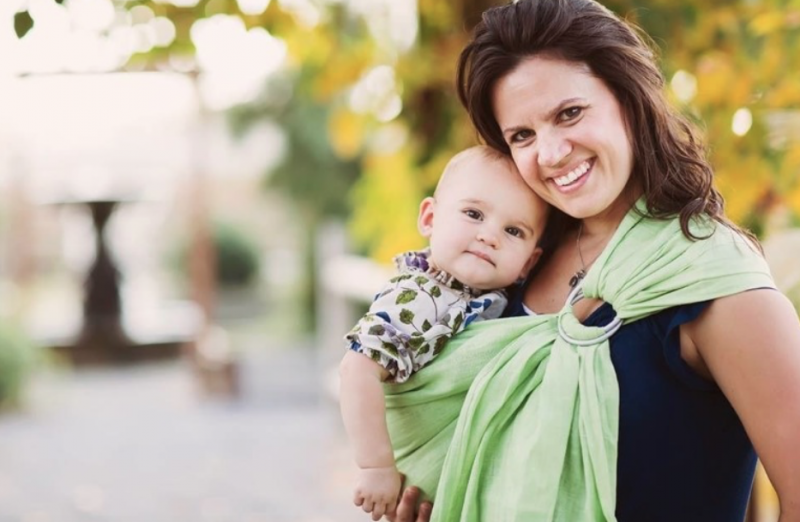 Comfy Joey Ring Slings are a hands-free way to carry your little one. Moms report that wearing their little one in a ring sling can help soothe a fussy or colicky baby. They can also be used for nursing on the go. Comfy Joey ring slings fold compactly so they easily fit into a diaper bag. Comfy Joey ring slings come in linen or mesh and come in a large assortment of colors, sure to please new and veteran moms alike. Looking for a personal gift for your spouse? This Sensual Arousal cream from Say O Yes is a safe, naturally derived, easy-to-apply blend of botanical oils and ingredients that work by heightening a woman’s sensitivity to touch. Give the luxury of taking a mini-vacation from sexual stress and inhibitions and become more sensual. With just a small amount, this product will intensify every touch. Great for women of all ages. Celebrate sensuality today! Candle Warmer Etc. 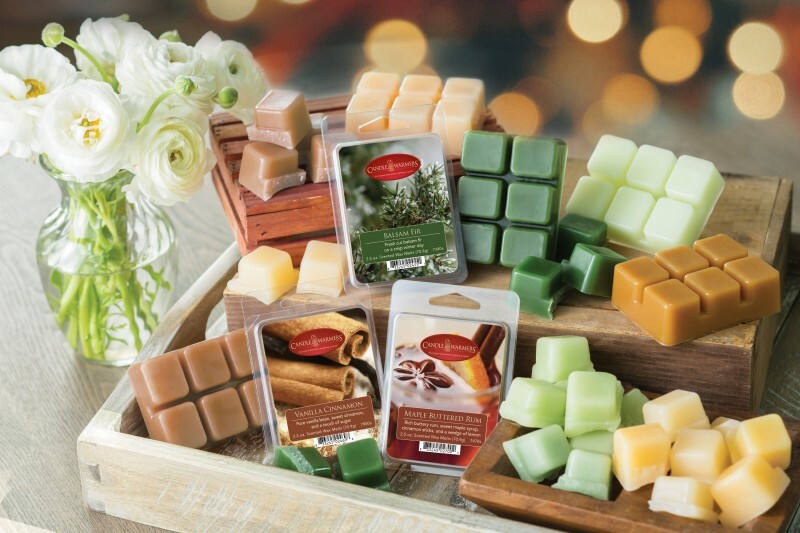 offers an assortment of deliciously scented wax melts. The new Caramel Apple wax melt fills the room with seasonal scents of ripe red apples and rich buttery caramel sauce. Candle Warmer Etc. wax melts are made from high-quality paraffin wax. Paraffin wax provides a clean and long-lasting fragrance. Candle Warmer Etc. wax melts are available in both a 2.5 oz and 5 oz sizes. To learn more about Candle Warmer Etc., read my full review and enter to win the giveaway. Who doesn’t love photos? For many, the trouble is that the photos never get printed, they just sit on their SD card or smartphone. 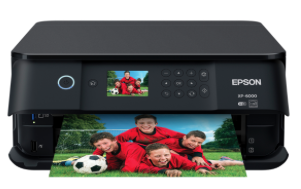 With the Epson Expression Premium XP-6000 wireless Small-in-One printer you can quickly print out photos right at home. This printer delivers superior photo quality and fast print speeds. 4″ x 6″ photos print in as little as 15 seconds. 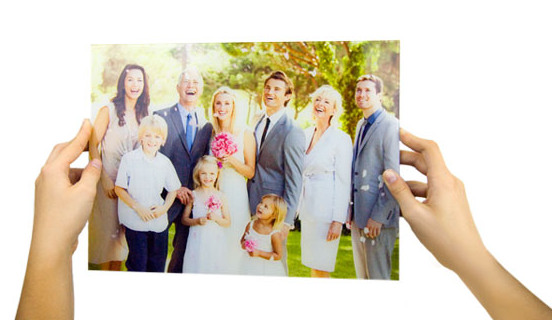 You can print stunning borderless photos up to 8″ x 10″, as well as sharp text. The Epson Premium XP-6000 includes built-in USB and memory card slots, a 2.4 inch color LCD and dedicated photo/DVD trays. You can also easily print from a tablet or smartphone — with or without a router. This printer also includes a built in scanner. Buy It: Epson or Amazon. 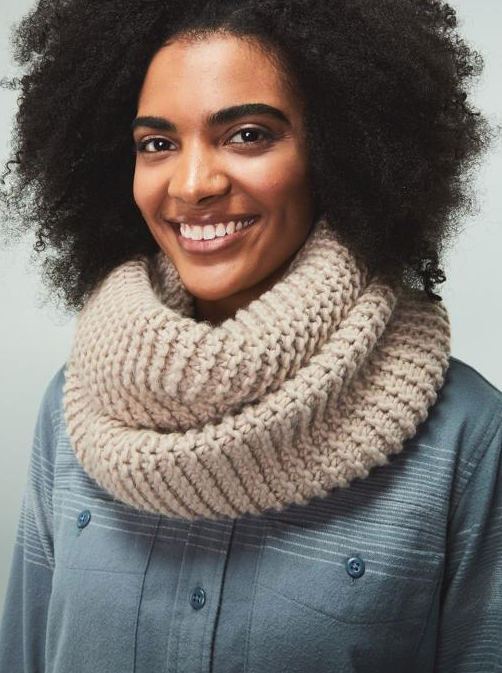 The best way to stay cozy and warm this winter is with the amazing REI Co-Op Wallace Lake Scarf! Available in Alpaca Marled (shown) or Asphalt Confetti colors. It features a tubular design that offers full coverage comfort. And the best part is that it’s multi-functional. Choose how you want to style it because the Wallace Lake Scarf can be worn as a neck warmer, balaclava, or even a hat! Measuring in at 26″ x 13″, the acrylic and polyester fabric blend is soft, stretchy, warm, and breathable. Kwilt Shoebox is the answer to her prayers. 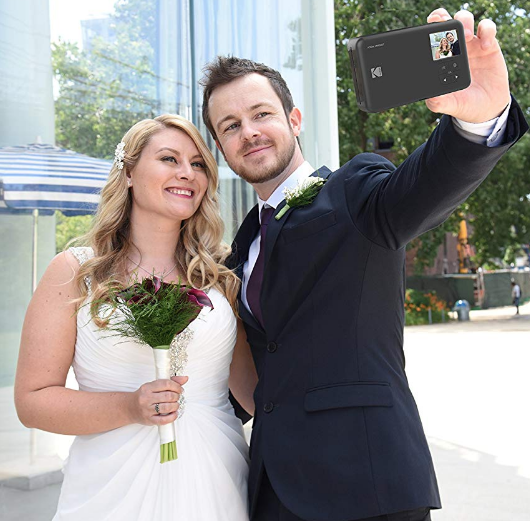 The Kwilt Shoebox provides unlimited photo and video storage for Androids, iPhones, and IPads. Kwilt Shoebox makes it easy to offload your mobile device in the privacy of your home when it is convenient for you. Once your photos and videos have been offloaded to your Kwilt Shoebox, you may access them from anywhere. 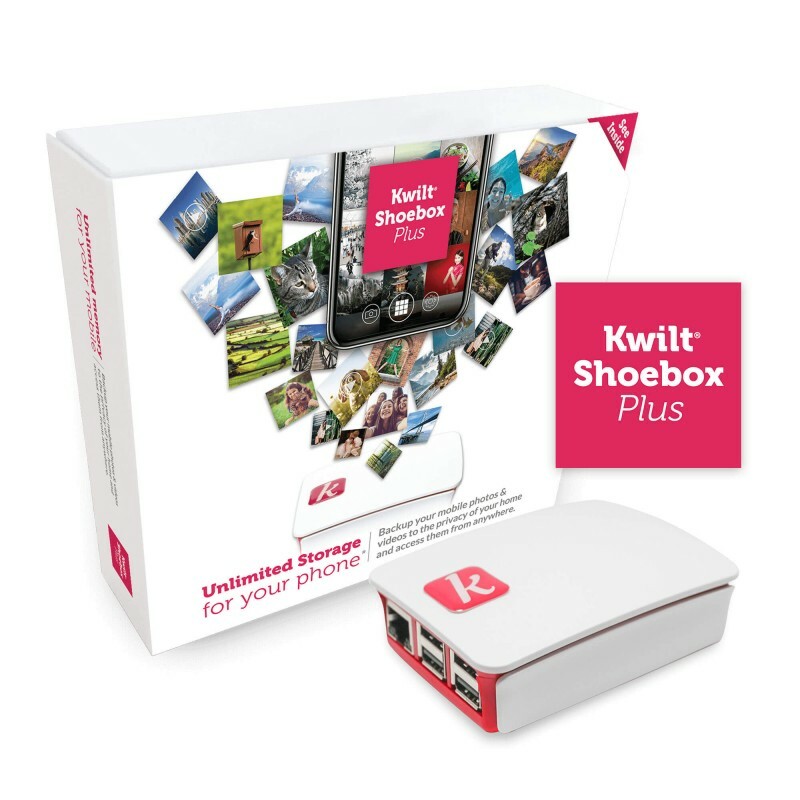 If she enjoys taking photos and videos, she needs a Kwilt Shoebox. To learn more about Kwilt Shoebox, read my full review. Give your significant other the gift of a date night this holiday season. Crated With Love is a super fun date night subscription box. Every box includes four or five date night challenges or activities along with all the items needed. Each box comes with a theme, such as Tropical Escape, Date Night Down Under, or Game Show Date Night. Crated With Love’s goal is to help inspire laughter so couples can reconnect and create quality time together. Crated With Love boxes can be purchased as a one time gift or as a monthly subscription. Use the link below for $5 off your first Crated With Love date night box! 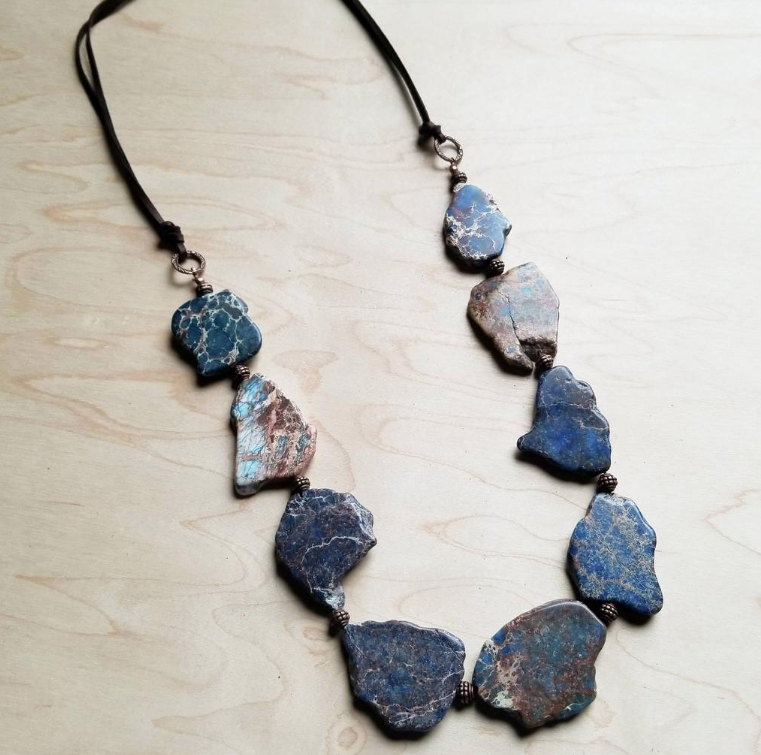 The Navy Blue Regalite Slab Necklace 246g from The Jewelry Junkie features genuine slabs of regalite. These very beautiful verigated stones blend easily with a variety of colors and look great for the office or a night out on the town. Featuring 30″ in length, adjustable to 36″ with self-tie closure, this is a great layering piece as well. Each piece is hand crafted which means no two will ever look alike. So give the gift of unique this year! City Home offers customers an eclectic collection of vintage, mid-century modern, and industrial home decor. Receiving a 100% Merino Sheepskin Fur Shag Rug will give her warm fuzzies. It is super soft, ultra plush, and versatile. She can use it as a rug or throw it over the back of her favorite chair. 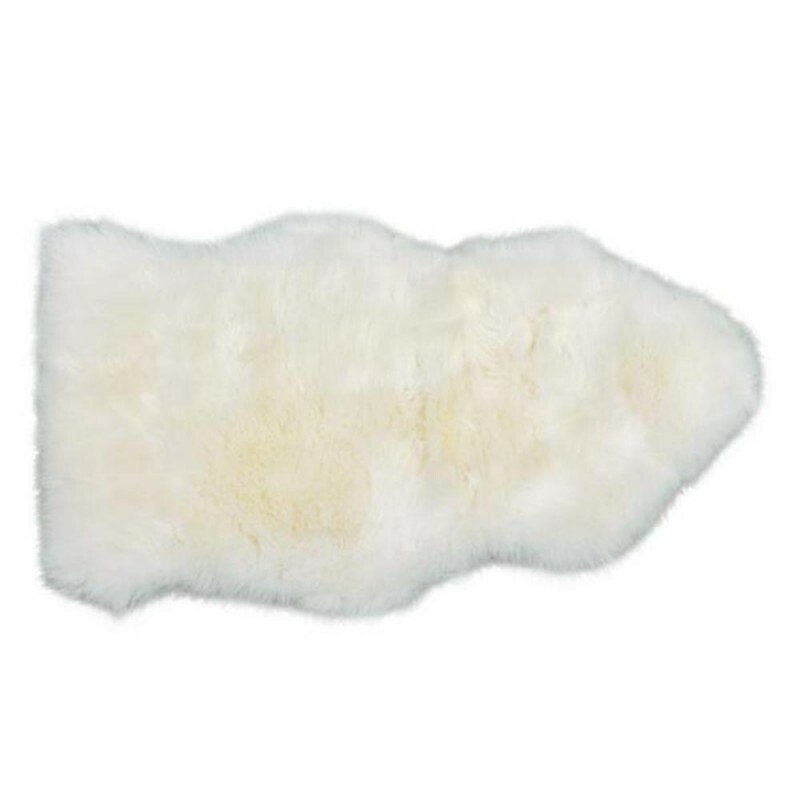 The Sheepskin Fur Shag Rug is available in white (shown), tan, champagne, and black. To learn more about City Home read my full review. Who doesn’t love a personalized gift? Whether you are buying for your daughter, granddaughter, significant other, mother, grandmother, or other special lady in your life, a personalized piece of jewelry is a wonderful choice. 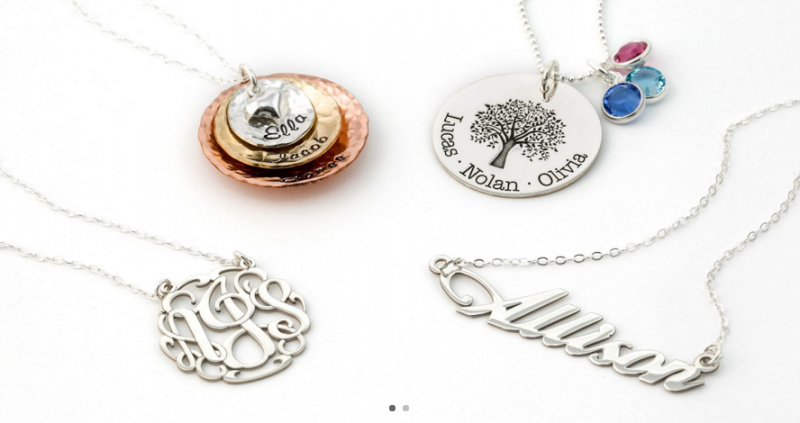 AJ’s Collection offers personalized jewelry featuring your special person’s name, initials, the names of their children, birthstones, etc. Beautiful, quality pieces at affordable prices. Options include necklaces, bracelets, earrings, anklets, keychains as well as gifts for men. Cooking Mexican food has never been easier! 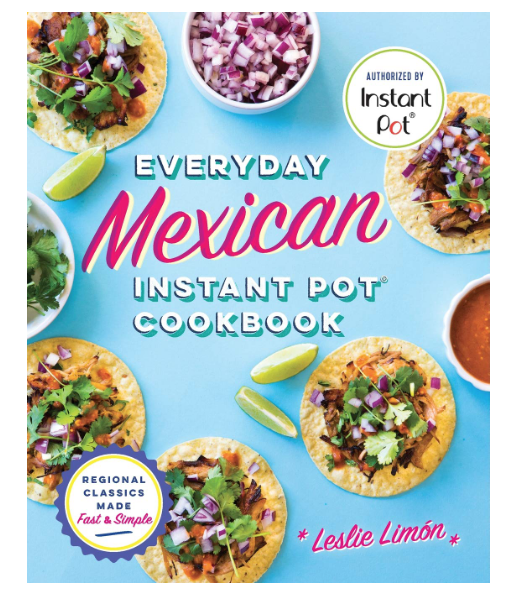 Combine your love of Mexican with your love of the Instant Pot with this handy Everyday Mexican Instant Pot Cookbook. This fun cookbook showcases a rich variety of regional cuisine, with over 80 recipes that can be made in an hour or less from start to finish. So bring the fiesta to your table in an instant with the most comprehensive collection of authentic Mexican recipes. What mom or grandma doesn’t love receiving photos of her children or grandchildren? At Album Envy you can make them a personalized photo book or photo album. The Album Envy site is super easy to use. Just download your digital or scanned photos, then Album Envy can auto design your album with their intuitive design software, then you can make changes and add wording as you wish. Album Envy’s expert printmakers use gold-standard photographic printing on portrait-grade paper, ensuring your images display true-to-life colors and ultra-sharp clarity. Head to the beach without a worry or care when you have your Bomber Eyewear Sugar Floating Sunglasses along. Super pretty and chic, they feature glossy white frames, smoke polarized lenses, and a cute pink foam. Designed with a patented technology and no other floating eyewear provides the same superior buoyancy of EVA foam, period! Also created to prevent dry eye, they feature just enough foam at the hinges which keeps the vortex of dust and dry air from forming near your eyes. Women love them! If the lady in your life likes to cook or can – or would like to learn how to cook or can, Robert Rose has some great recipe book choices. 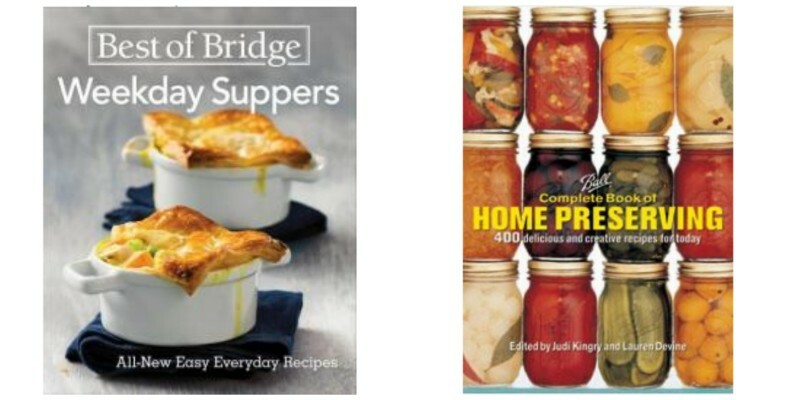 Best of Bridge Weekday Suppers is a brand new title that provides 175 simple recipes with gourmet results for every night of the week. The Ball Complete Book of Home Preserving includes 400 innovative and enticing recipes including everything from salsas and sauces to pickles, chutneys, relishes and of course, jams, jellies, and fruit spread. This book includes directions for safe canning and preserving methods as well as lists of required equipment and utensils. There is also specific instructions for first-timers and handy tips for the experienced cook. Both of these recipe books would make a valuable addition to any kitchen library. 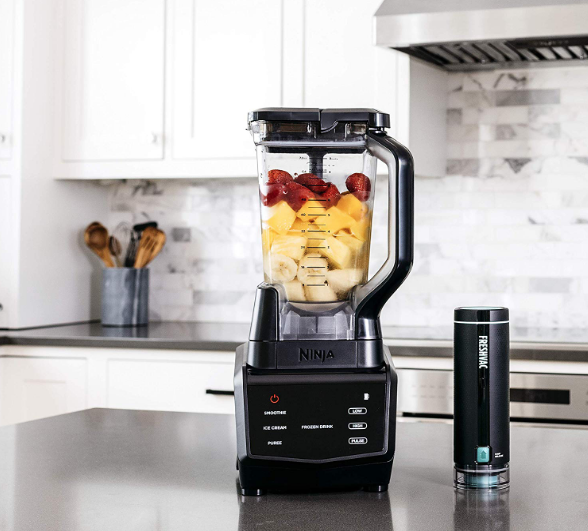 The Ninja Smart Screen Blender DUO with FreshVac Technology doubles as a full-sized countertop blender and a single-serve, personal blender! This amazing combo features the newest FreshVac™technology to give you the best results possible. The FreshVac™ Pump is compatible with both the pitcher and the cup, just use it to pump oxygen out before blending and it helps you lock in vitamins and keep drinks fresh overnight. Along with that, you’ll find it also features: 7 pre-set Auto-iQ programs, touchscreen display, 1400-Peak-watt motor base, and is easy to use. Grab one for the foodie in your life today! Looking to get active at home with the most versatile piece of gym equipment? The Forever Flex Stability Ball from Live Infinitely is the perfect place to start. Ideal for core training, pilates, yoga, and more. The durable .70mm thick walls are made from a professional grade PVC that is 100% free of Latex, BPA, & heavy metals. This ball can support up to 2,200 pounds and features a professional grade anti-burst design. 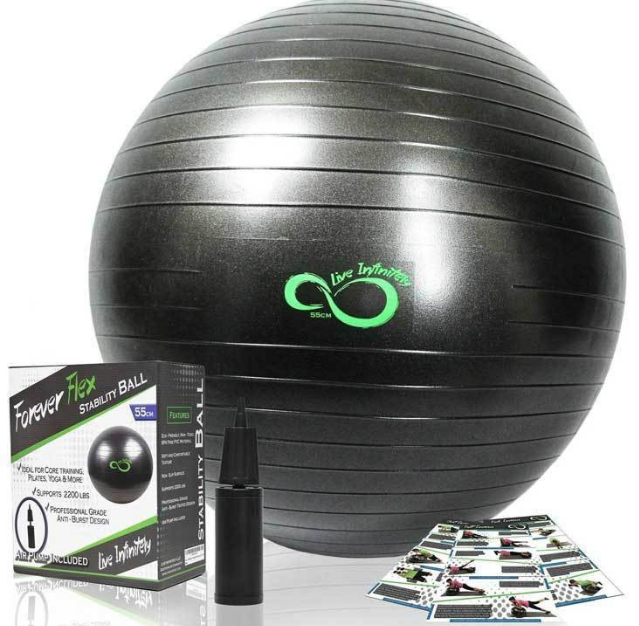 And with the purchase of this Ball, you also receive free downloadable exercise & yoga guides, full workout plans, and access to the Healthy Eating Challenge by personal trainer Marci Barker. 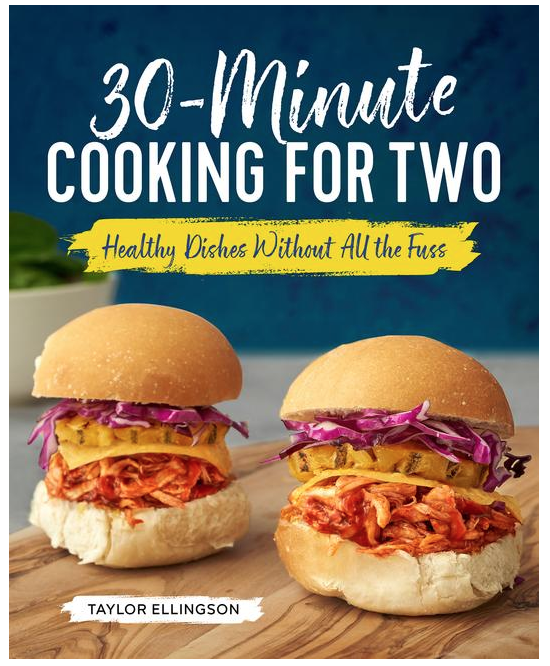 Making meals for two in half the time has never been easier than with the help of this 30-Minute Cooking For Two Cookbook. Featuring a variety of perfectly portioned recipes that will let you deliver healthy, delicious meals, no matter what day of the week it is. 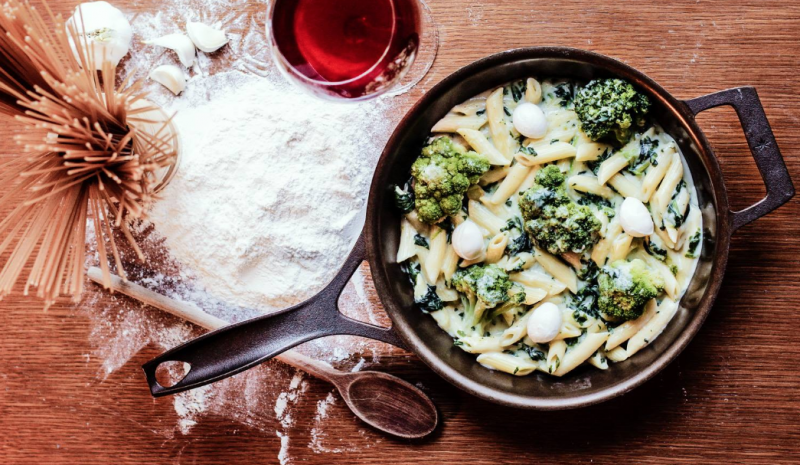 Because these meals can be table ready in 30 minutes or less and use no more than eight staple ingredients each, the stress is removed from cooking. So get ready to start serving a variety of breakfast meals, soups, salads, sandwiches, dinner, and dessert as you’ll love to cook again! 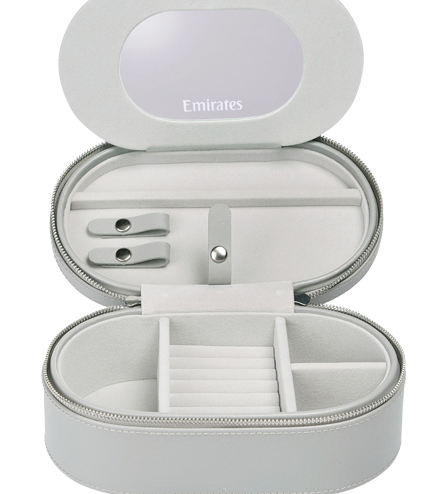 Whether traveling or at home, the Emirates Jewellery Box will help keep your rings, necklaces, pins, watches, and more safe. Made from leather-like PU material, this case features a zipped closure and is just the right size to carry easily in your luggage. The soft interior has compartments for different pieces of jewelry while also being quite protective too. Release the popper in the lid to open a hidden compartment with a mirror and clips for your necklaces. 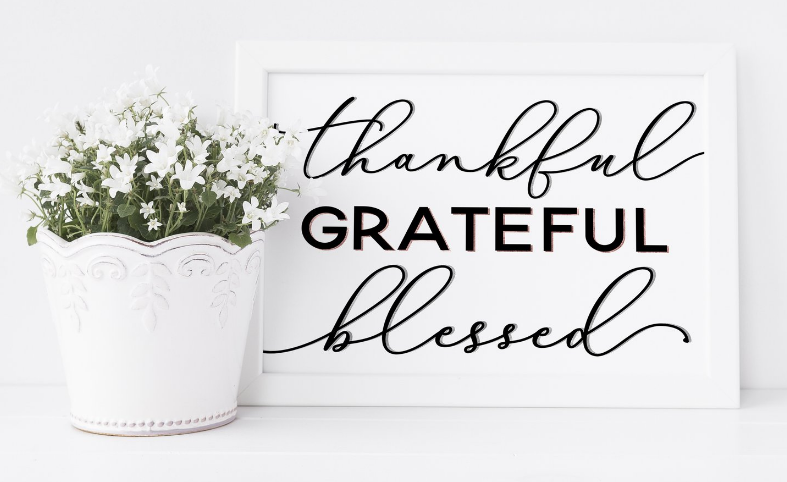 This Thankful Grateful Blessed Print is perfect for a home, office, salon, shop, bedroom, or anywhere. Scrolled in black and white with a shimmering pomegranate shadow and light gray shade, the words portray the depth and emotion behind the definitions. Simple and elegant. Classic and pretty. This print is available in three size options: 8×10, 11×14, or 11×17. Printed on an ultra thick 240# paper, you can display it beautifully on a stand or in a frame. Anne Shirley is quite the character, as you may well know. When she is not busy getting into mischief. Or possibly apologizing profusely. She is dedicated to taking care of those she loves. And while her imagination may run away with her from time to time, she is a kind soul and a true kindred spirit. 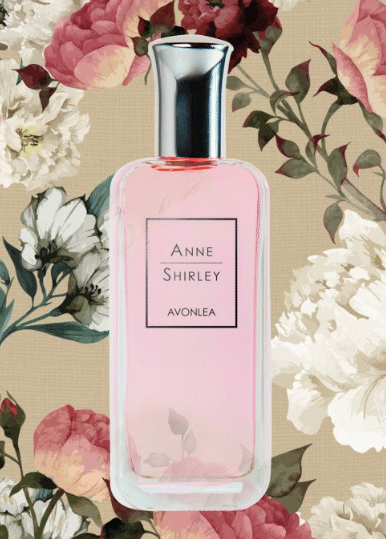 So this fresh, floral Anne Shirley of Avonlea Perfume can help you escape the confines of the every day working world and helps to bring you back to a simpler, more fulfilling, time. Creative adults love building their brains. 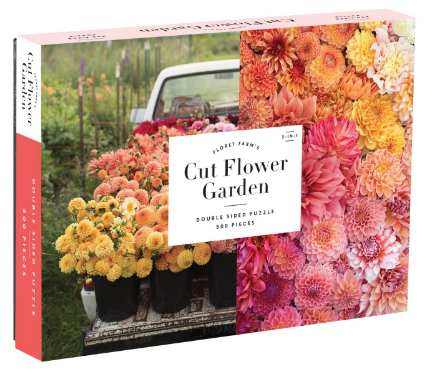 So bring on the flowers with this 500 piece 2-sided puzzle from Galison. It features photographs by the talented Erin and Chris Benzakein. The breathtaking floral masterpieces you’ll have once complete are perfect for framing. And your final results will measure in at 24 x 18″, 610 x 458mm. Perfect for nature lovers and loved ones. Looking for a hoodie that will transport to a galaxy beyond? 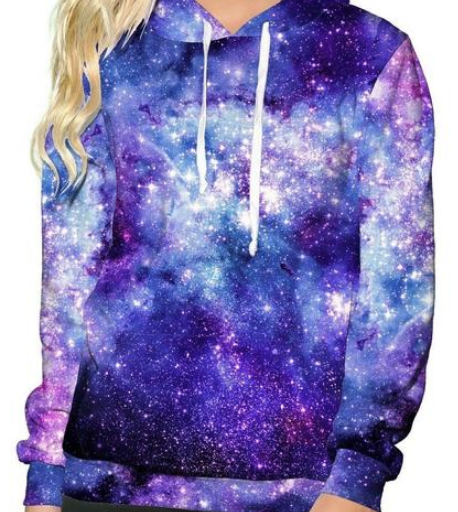 Look no further than this awesome Stardust Hoodie from iHeartRaves! This premium pullover features a bold design that is printed with high-quality inks made to never fade. And not only that, these hoodies have been handmade by a highly skilled American craftsman in sunny California. Each panel is individually cut, then sewn together to ensure a flawless graphic with zero imperfections. Because it’s a standards mens fit, women should size down one size when ordering. You won’t be sorry, as this hoodie is gorgeous! It’s the reason for the season! 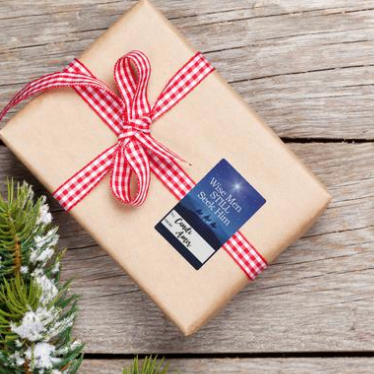 Dress up her gifts with Religious Christian Faith Christmas Gift Stickers this year. These peel and stick gift tags feature a To and From format, making it easy to see who the gift if for and who it’s from. Because of the glossy finish, it’s best to use permanent marker for clear results. Nothing is worse than warm wine or cold coffee, right? 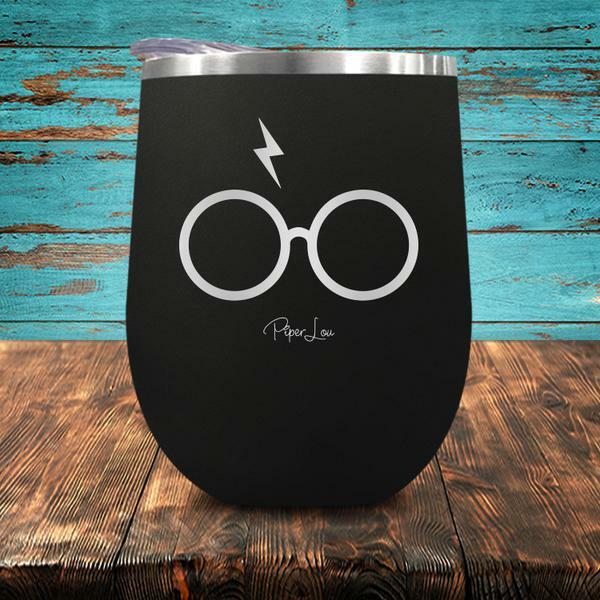 Drinks will stay cold for 24 hours or hot for 9 hours in this Potter Glasses Stemless Wine Cup from Piper Lou Collection. It’s double-walled and made with vacuum insulated stainless steel. This cup is laser etched and will truly stand the test of time! You don’t have to worry about breaking a glass with this heavy-duty wine cup. Plus, it comes in a variety of colors for anyone on your shopping list. Stone Cottage bedding has several items that would make great gifts for the women on your holiday shopping list. The Burch Quilt Set is one great example. The quilt is lightweight making it perfect for year-round use and/or layering. The white on white makes it both elegant and inviting. A Burch Quilt Set comes with the quilt and pillow sham(s). To learn more about Stone Cottage bedding, read my full review. Need even more gift ideas? Check out the gift ideas we’ve shared in previous years! 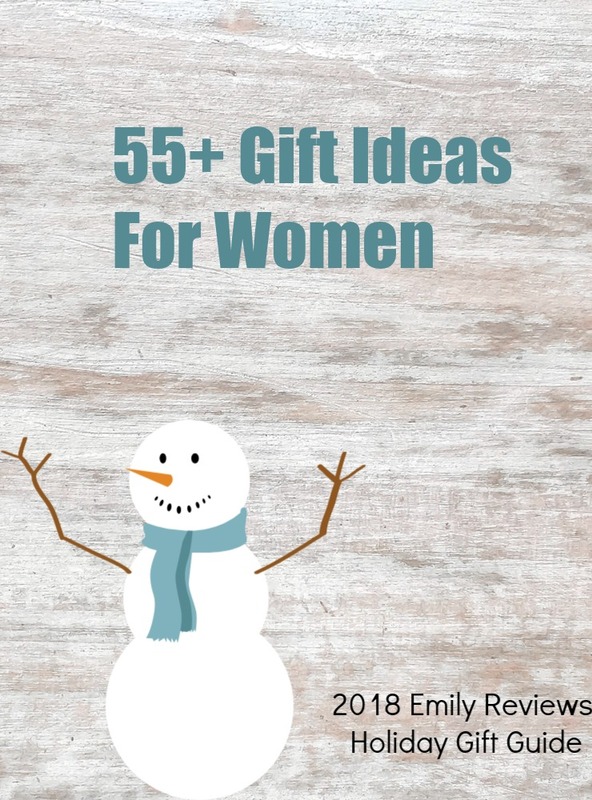 I have been searching the internet for a ski coat for my granddaughter for Christmas and love the Dusty Down Jacket from Obermeyer you have featured here in your gift guide. 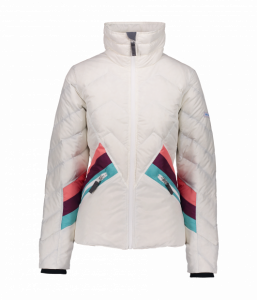 This coat will be a contender when choosing a ski jacket for her. There are some very awesome gifts here. Those are great gift ideas! If I were to decide what to get from the list it would be hard to do. I really like the stardust hoodie though. Thank you for sharing this, some very great ideas, what woman doesn’t like jewelry and the crock pot is great too. The ski coats are wonderful, coats are so expensive too. Theres alot of wonderful ideas here. thank you for sharing. i try to stay with green products as much as i can. i do need a new winter jacket again, even though i never wear them that much. i love the sunglasses, wonder if they can used with prescription. I look forward to reading all the great gift guides every year to give me ideas what to buy for gifts. I love discovering new products. This is great, I have so many women on my list who are impossible to buy for. My mom is the worst and I end up buying her a gift card for her grocery store (which she never uses unless I go with her). At 74 I guess she just wants to go on a vacation. This week I could really use the Dusty Down Jacket from Obermeyer. Looks warm and toasty.